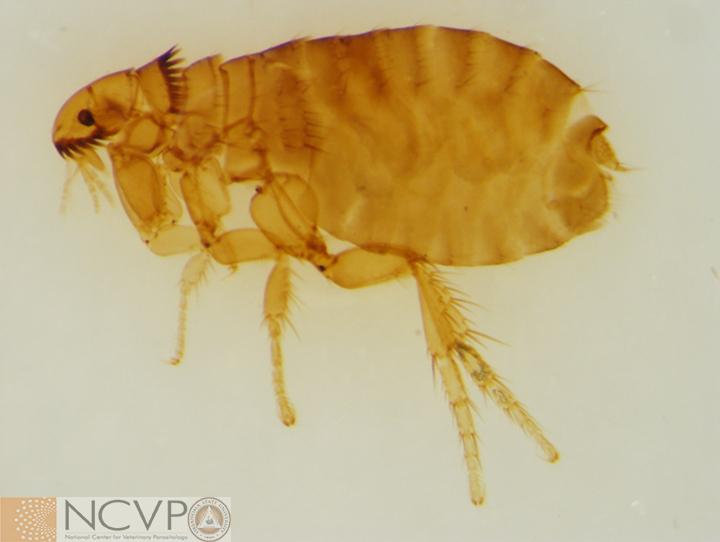 The cat flea (Ctenocephalides felis) is the most common flea of both dogs and cats. 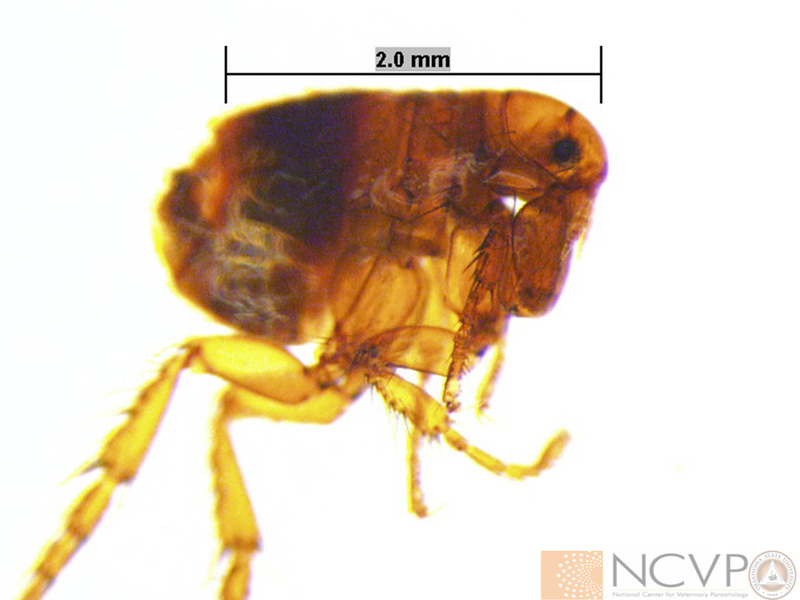 A new generation of fleas can hatch and begin producing eggs in as little as 3 weeks. A close view of the genal ctenidia ('combs') of Ctenocephalides felis. 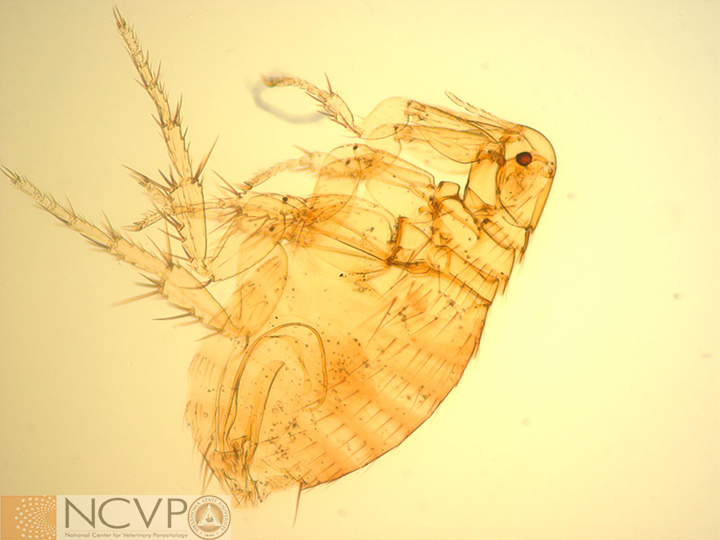 Identification of different fleas is based primarily on ctenidia and ocular bristles. 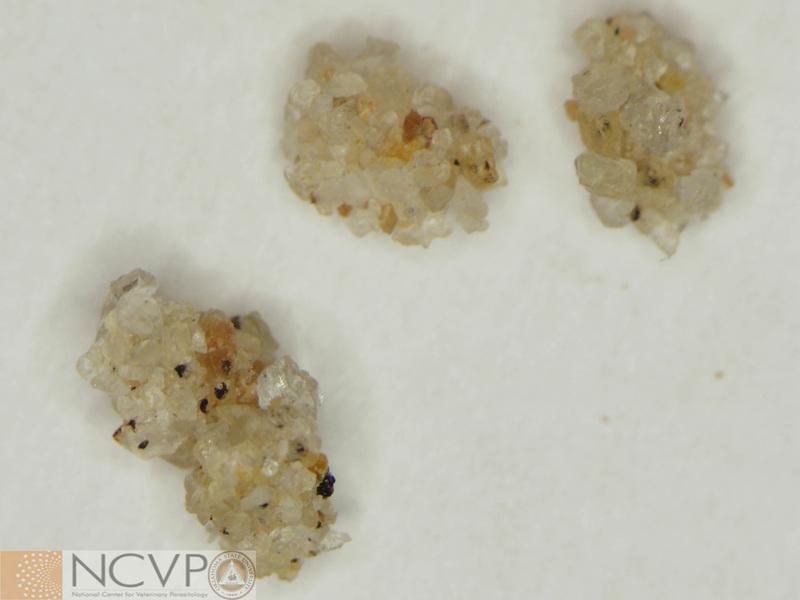 A group of adult Ctenocephalides felis. 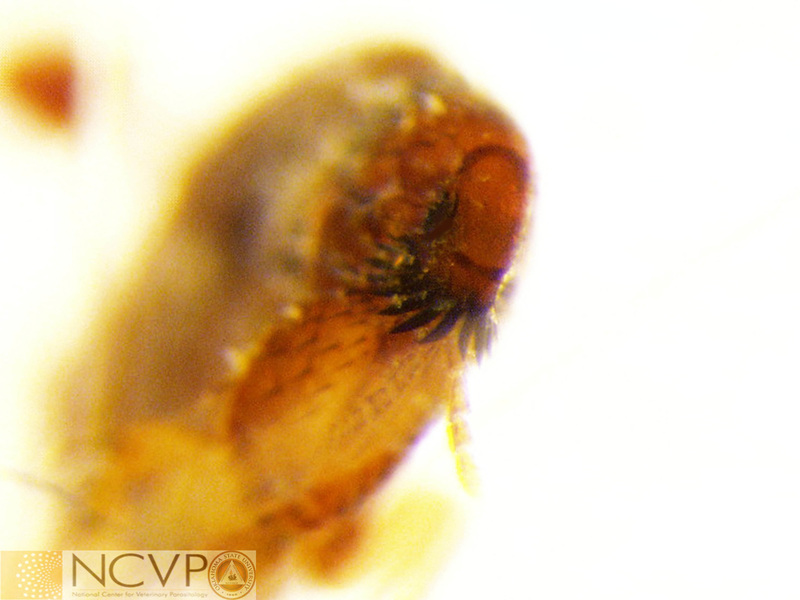 Ctenocephalides felis serves as an intermediate host for Dipylidium caninum and also vectors several other disease agents. 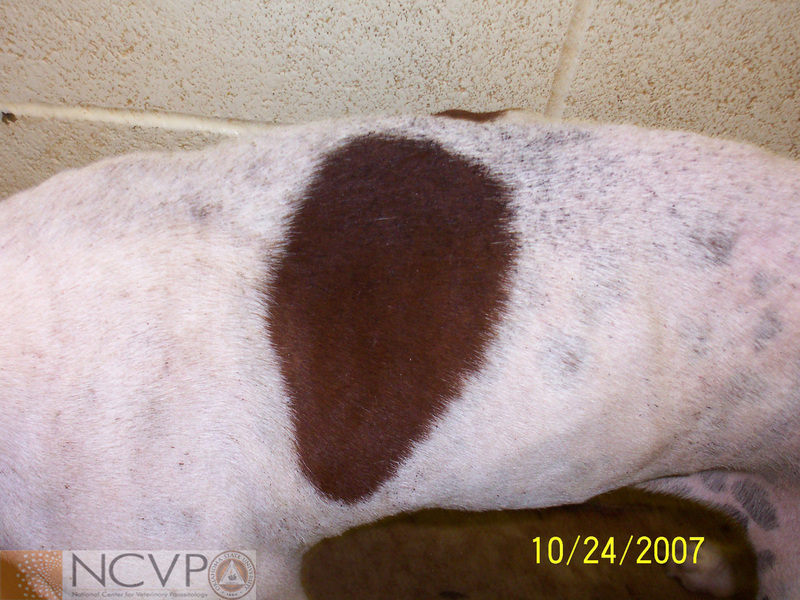 A dog severely infested with Ctenocephalides felis as evidenced by the large amount of dried blood commonly referred to as “flea dirt” visible on the skin. Adult sticktight fleas (Echidnophaga gallinacea) on a Victorian pigeon. 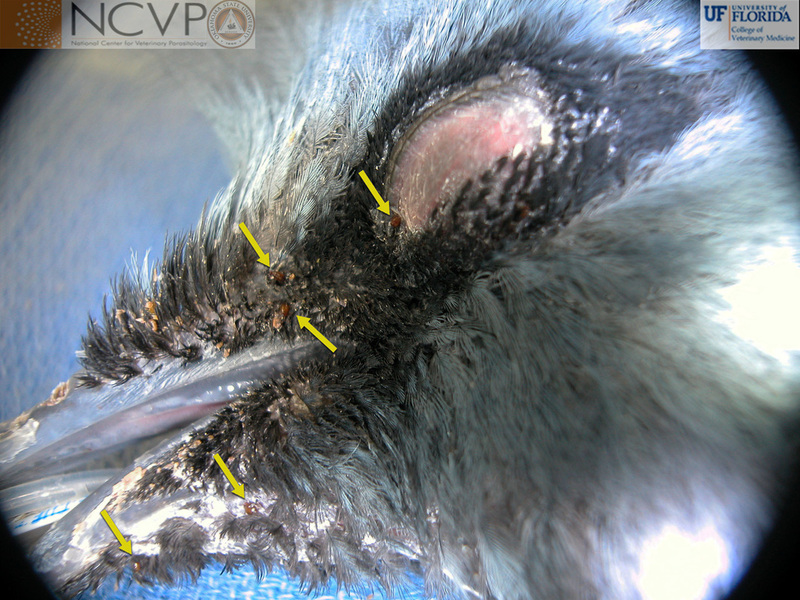 Adults burrow into the combs, wattles, and around the eyes of birds, feeding and laying their eggs into the dermis. Once the eggs hatch, the larvae fall out and develop in the environment. 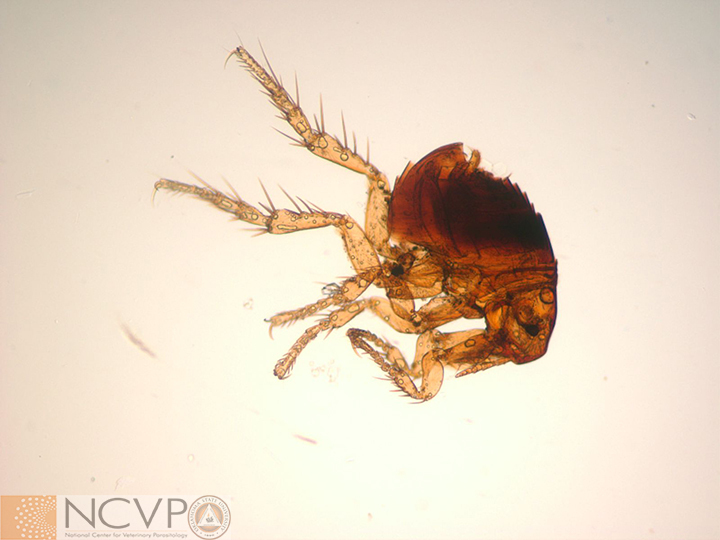 Xenopsylla cheopis, the Oriental rat flea is an important vector of Yersinia pestis, the agent of plague. 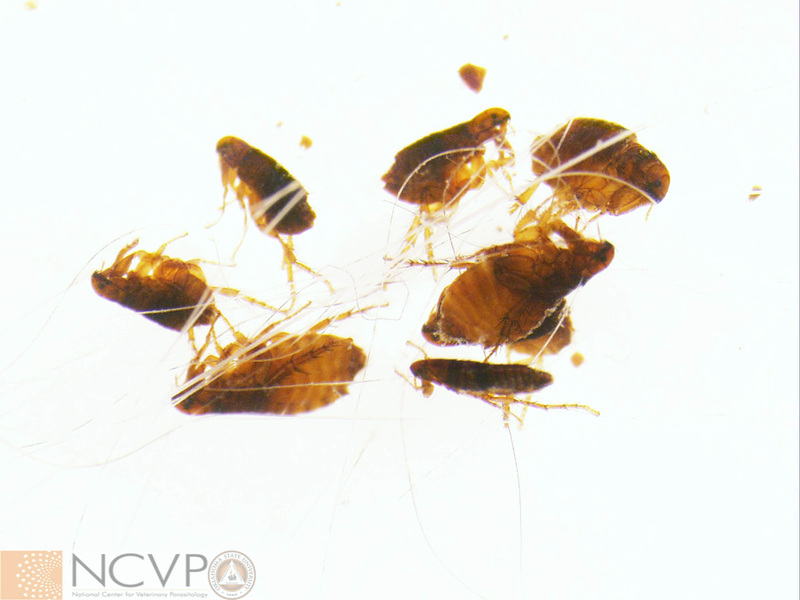 Rats are the preferred host but Xenopsylla cheopis will infest numerous other animals include dogs, cats, and chickens.